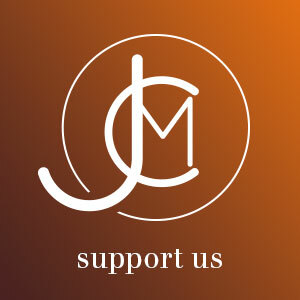 “Jesus Christ for Muslims” is a nonprofit organization, which aims at inviting Muslims to the Kingdom of Christ through witnessing, discipleship, church planting and the JCM center. This ministry is solely supported through your generous giving. Volunteer support: You can also support this ministry as a volunteer using your skills and your desire to serve Christ. Our ministry is in need of writers, translators, volunteers with film making skills and even beyond that, missionaries who are willing to serve our Lord Jesus Christ in Muslim majority countries. Financial support: If you would like to support the ministry of “Jesus Christ for Muslims” financially you can do so by clicking below. Your donations allow us to continue moving forward as a ministry for Christ’s cause and we are grateful for your partnership. Click “donate” to give a one-time gift. If you would prefer to do a direct bank transfer, please email us for the bank account details. If 300 believers each donated a regular amount via Paypal of, say, $5 or $10 per month each, that money would then enable us to provide more help to our dear brothers and sisters in Thailand, and expand the work of JCfM, explaining who Jesus is. Please consider being on of the 300, and shine the light of Christ with us. Thank you, and God bless you.